ANNOUNCING MY NEW WEBSITE DESIGN! 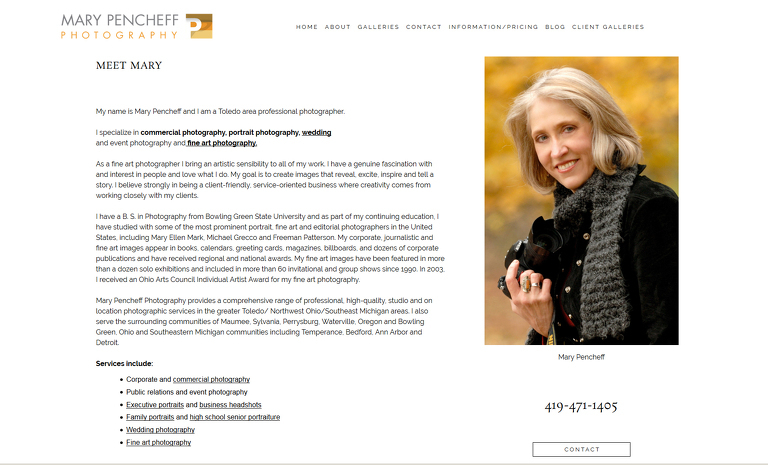 I am so excited to be introducing my new website design! I’ll be honest, the process was long and labored but it was definately a labor of love worth all of the time and effort. 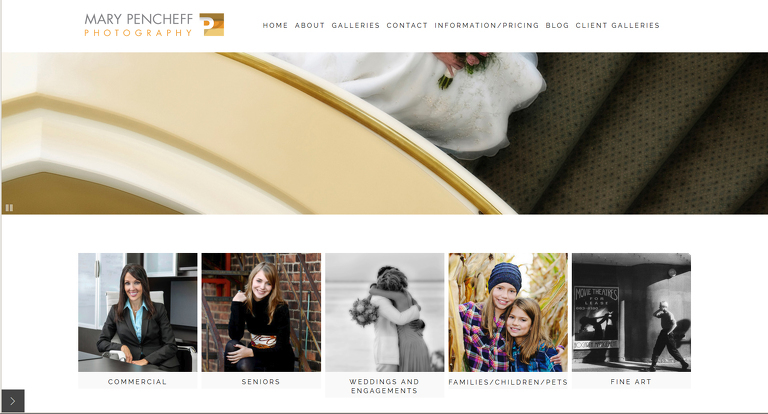 I am a perfectionist and wanted a website design that was going to represent my photography, my personality and my style for the next few years. I am so happy with the end result! Not only is the site beautiful to look at but this new design is responsive so people using phones and tablets can make there way around the site easily and the images are much bigger and fun to look at. I must thank my web guru Joe Fisher for his creativity, flexibility, smarts and patience in helping me make this design a reality. It could never have happened without him. 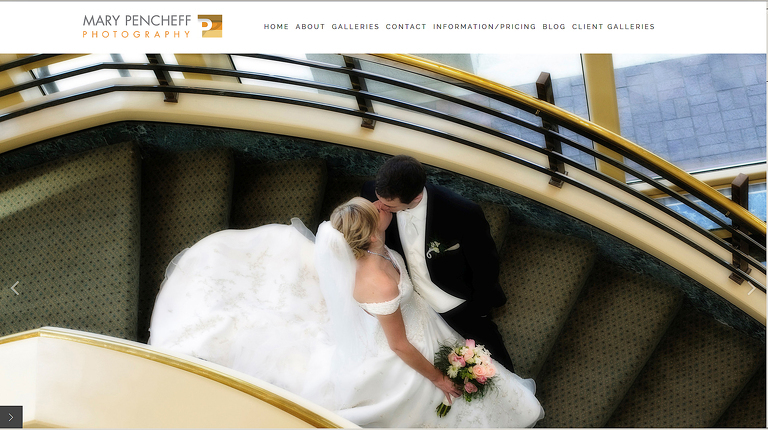 The home page opens with a full screen revolving slide show of images that represent the range of photographic services I provide including, wedding photography, family portrait photography, high school senior portraits, engagement sessions, commercial photography, and fine art photography. Click here to see the home page live. Below the home page slide show there are five gallery thumbnails that represent the various photographic services that I offer. Each thumbnail links to a gallery of images representing that service. I was determined to include this feature on my home page because I specialize in so many different types of photography and I want clients to be able to find the gallery they are looking for easily. The about Mary section is also on the home page. I think its very important that potential clients get information about me personally, about my background and experience level and about the services that I offer. The gallery pages are set up in a masonry layout to make it easier for visitors to see the images at a glace. There is also an option to click on any image in a gallery and start a gallery slide show of individual full screen images. On a phone or tablet the viewer can just scroll through the images. Easy! The Blog is now part of my website and the three most recent posts with a link to the Blog are shown on my home page. The Blog page itself has a menu at the bottom for easy navigation to the type of post the viewer is looking for. Shown below is an example of a recent Blog post. 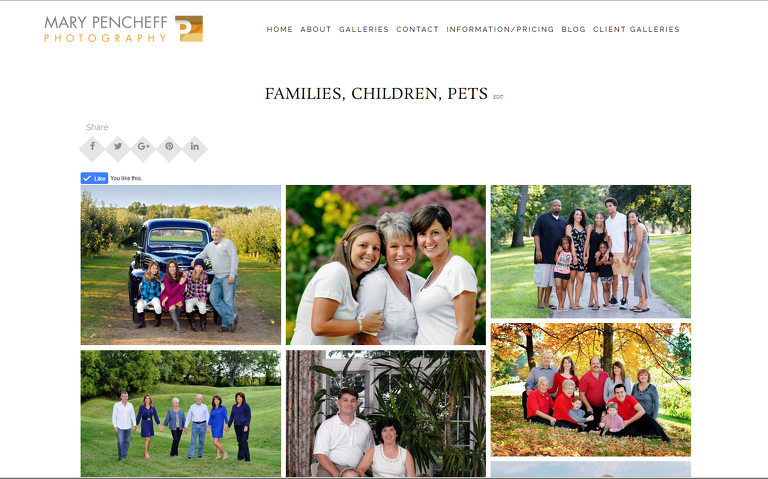 In addition to lots of beautiful images I wanted to give visitors to my website the information they needed to make the decision to become a client. In the home page menu there is a drop down menu with a link to an information page for each type of photography service offered and each information page has a link to that particular gallery. Below is an example of the Engagement Session information and pricing. Last but not least there are share buttons for the most common social sharing sites and a contact page for visitors to reach me via email or phone. Please take a few moments to look around. Since this is an all in one Website and Blog just click here or on the Home tab in the top menu bar to get started.